A new study has revealed that some galaxies can die early because the gas they need to make new stars is suddenly ejected. Most galaxies stop growing when they run out of raw materials over billions of years. However, some galaxies seem to die young when they shoot out the gas they need early on. There are two main types of galaxies, ‘blue’ galaxies that are still actively making new stars and ‘red’ galaxies that have stopped growing, said astrophysicist Ivy Wong from the University of Western Australia. Most galaxies transition from blue to ‘red and dead’ slowly after two billion years or more, but some transition suddenly after less than a billion years – young in cosmic terms. Why the gas is expelled so early is not understood. 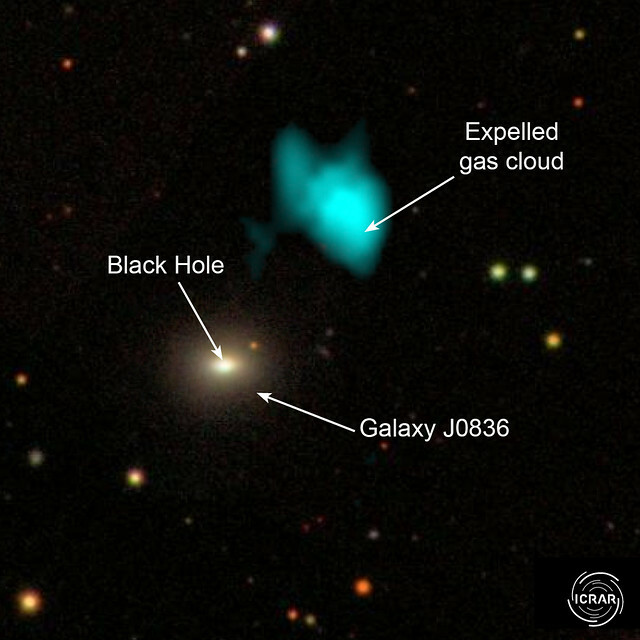 “One possibility is that it could be blown out by the galaxy’s supermassive black hole,” says Wong. Another possibility is that the gas is ripped out by a neighbouring galaxy, although the galaxies studied were all isolated and did not have close neighbours. Dr Wong and her colleagues looked at four galaxies on the cusp of their star formation shutting down, each at a different stage in the transition. The galaxies had expelled most of their gas. Dying galaxies are not expected to have any gas left to see. The scientists now hope to use powerful telescopes to conduct a larger survey and study the sudden shutdown in star formation. The findings reveal a bit more about galaxy evolution. This, in turn, may allow researchers to discover the cause of this sudden shutdown in star formation. The study appeared in the journal Monthly Notices of the Royal Astronomical Society.